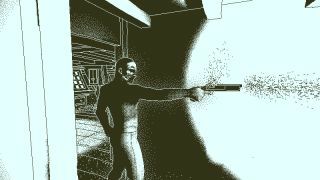 Return of the Obra Dinn leads on PC with six nominations. Ahead of April's BAFTA Game Awards show, this year's nominations have been revealed. If you've seen the results of any award shows from the last few months, you'll probably be able to guess most of them. But maybe they'll surprise you! Once again, Return of the Obra Dinn—our best puzzle game of 2018—is the PC game with the most nominations, including best game, with six, while nomination magnet God of War leads overall with ten. There are 17 categories, including best game, best debut game and game innovation. The debut game nominations are strong this year, with Beat Saber, Cultist Simulator, Donut County, Florence, Gris and Yoku's Island Express all being nominated. We got a lot of great stuff from new studios in 2018. Because it's BAFTA, there's a UK-specific award, too. 11-11: Memories Untold, Forza Horizon 4, Red Dead Redemption 2, The Room: Old Sins, Overcooked 2 and Two Point Hospital are all up for best British game. It's kind of a weird one, given that so many games are global endeavors, and it's strange to think of such a huge project like Red Dead Redemption 2 as "British". Still, a lot of excellent games in there. As much as I enjoyed committing lots of medical malpractice in Two Point Hospital, Forza Horizon 4's my favourite here—it's the best racing game since Burnout Paradise. It was also our best racing game of 2018. It's the public that gets to pick BAFTA and EE's mobile GOTY, however. Brawl Stars, Clash Royale, Fortnite, Old School Runescape, Pokémon Go and Roblox all have nominations, making for a pretty unusual list. Fortnite obviously has a bit of an advantage, given that it has a ridiculous number of players, but I don't think anyone could possibly predict what way the public will vote these days. Voting opened this week, so you can cast yours now. The winners will be announced during the BAFTA Game Awards on April 4. Editor's note: Updated to reflect that the public GOTY is a mobile award.